First and only art and craft blog in Kashmir valley. Here is a free tutorial to make this beautiful crochet bookmark..
2) Now starting with a slip knot make a chain as long as the length of your book! 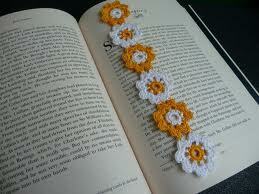 4) On one end join a fringe of yarn..
and your bookmark is ready..
few more bookmark patterns you would love..
Baruja. Theme images by merrymoonmary. Powered by Blogger.